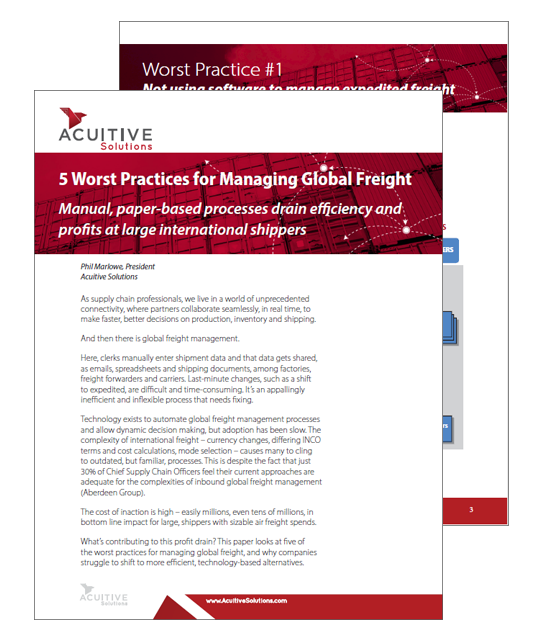 Acuitive’s global TMS was built to fix the inefficiencies in international shipping operations, where processes remain manual and paper-based. Acuitive’s cloud-based platform replaces manual steps with rules-based workflows that dramatically reduce the time and cost of common shipping processes. Learn more about our shipping management modules.